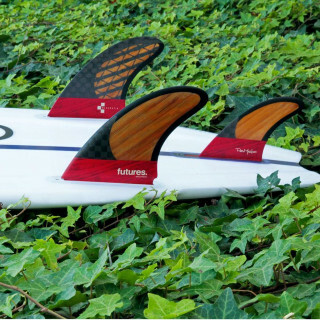 The Machado signature twin fin is the first of its kind in Blackstix construction. Designed with Rob Machado for the Midas surfboard model, the template features an upright twin fin pair, with a smaller trailing fin for added stability. Featuring Futures' V2 foil, the fin generates speed easily, offering smooth rail to rail transitions. 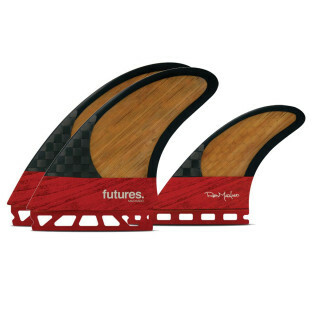 The combination of carbon and bamboo materials create a very lively feel, ideal for high performance surfing. This set performs great in waves ranging from 2'-8', in everything from soft beach breaks to fast point breaks.